This summer I’ve been working a lot with kids on different summer camps, theatre, dance and musical. It’s been a lot of fun and sometimes stressful, making different shows after only five days of work. I’ve also done some with lightning design for the shows, which I’m really interested in learning more about. 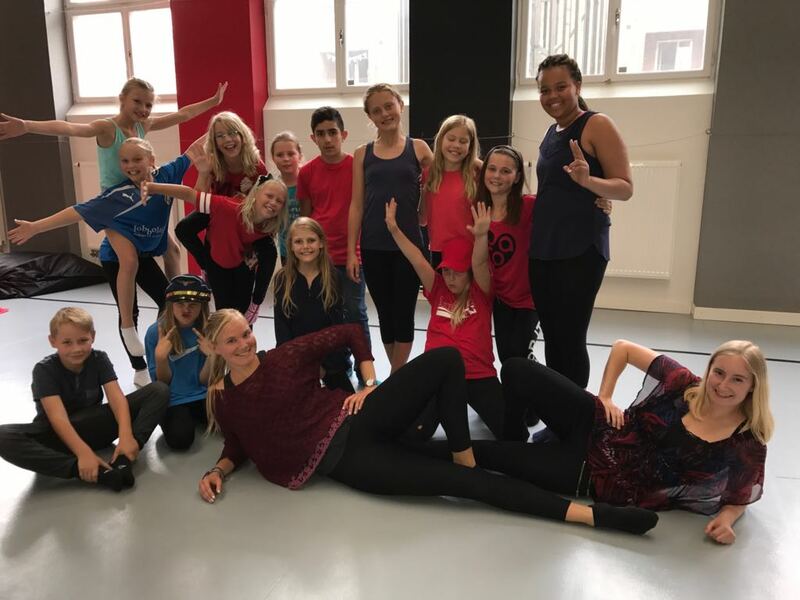 The first week was a dance camp in Halmstad with Mohumed Diab. Every day we focused on different dance styles, jazz, modern, arabic, street and the kids also got to choreograph things themselves. At the end of the week we had 4 dances made by us leaders and six short dances made by the students. Crazy how much you can get done in one week and both me and Mohumed was really impressed. In total most of the children danced in up to six pieces! Second week was theatre with stagefighting and a great challenge. I drilled the kids with security and thaught them some basic unarmed fighting. Most of our focus however went to improvising and creating scenes. At the end of the week we had a couple of loose scenes that we tied together in a narrative; camp kids getting lost and having to amuse each other in a deserted house before getting rescued by their camp leader. Third week was musical with Rebecca Molander and we combined some predecided songs and dances with the wishes of the kids. Then we improvised different scenes and eventually made it into a show which came to be about two rival gangs fighting in different ways and then coming together in dance. The kids got different shirts depending on gang, Team Ocean (blue) and Team Blood (red), and I had a lot of fun with colouring the scene in different lights. Last week was in Stockholm with Veronica Halén and our theme was an orphanage. Since we’ve worked with a lot of the kids previous year(s) as well it was a lot of fun to see them grow in such a serious play. We were also unsure at first if the kids would like our theme but they turned out to love it and we could enjoy both funny scenes and deeper ones. The show on Friday was a collision between our theatre camp, a dance camp and a pop music camp. Now I’m looking forward to new adventures in the autumn!